Imagine a moment where you are in a room full of influential people listening intently to a prominent speaker when your name is called and you are asked to stand. You are commended for something wonderful and the applause from the crowd fills your ears while all the cameras turn your direction. Has that happened for you? 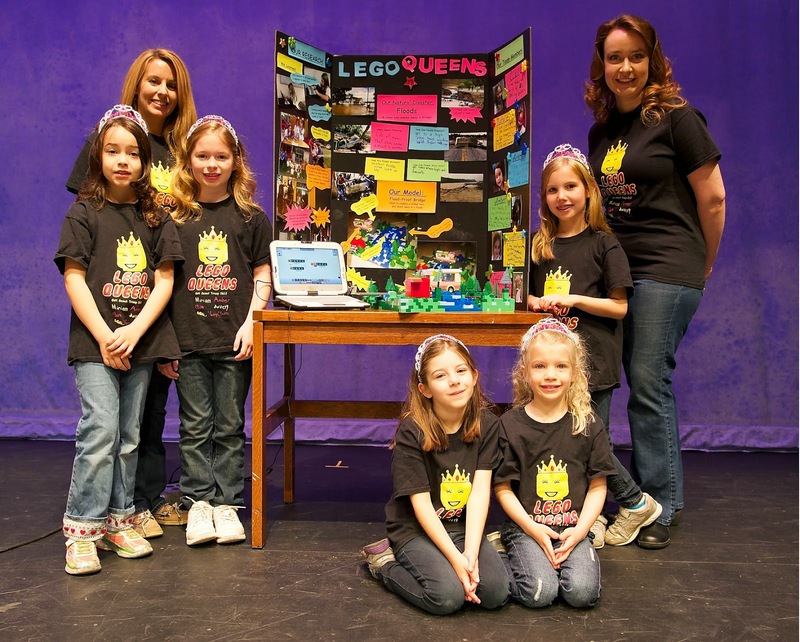 It has for the FIRST Lego League team “Lego Queens” of Girl Scouts of Eastern Oklahoma’s troop 2612. And their moment in the sun came from none other than the President of the United States of America! Their conceptual model of a “flood proof bridge” caught the attention of the White House Science Fair staff, and the small group of second graders from Holland Hall school in Tulsa, Oklahoma was invited to attend the prestigious event with a gathering of students from around the nation. Some of the youngest in attendance since the science fair since its beginnings in 2010. 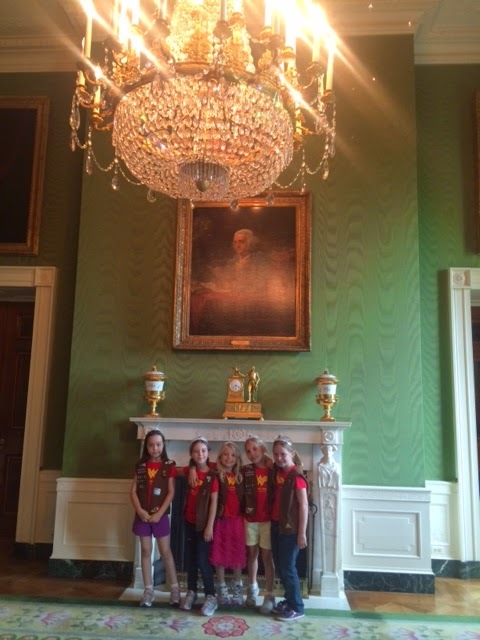 What made it possible for these Girl Scout Brownies to have the adventure of their lives at such a young age? 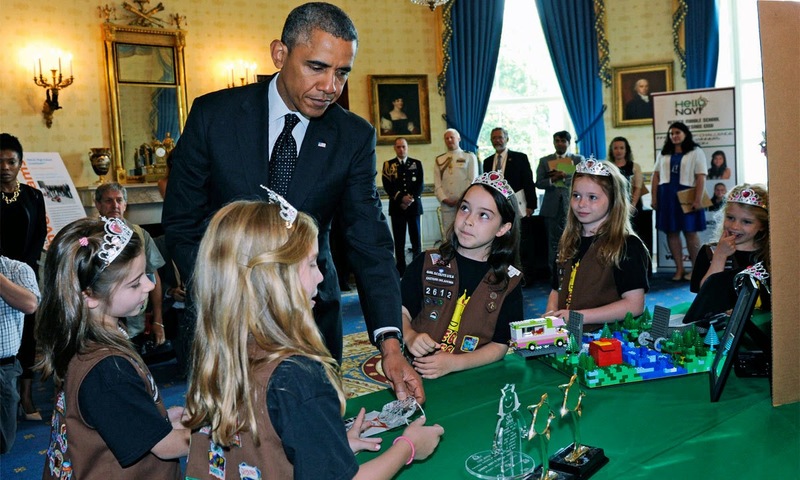 The synergy of many people connected to Girl Scouting opened the doors. Skilled volunteers are at the top of the list. Volunteers know how to truly guide girls while allowing them to dream and discover their own creative solutions. Add to that the support of a local council and its partners. They funnel an array of resources into valuable programs, making a rich environment to turn those dreams into realities. And with the leadership of Girl Scouts of the USA to spearhead endeavors such as this to promote STEM (science, technology, engineering, and math), Girl Scouts across the country have access to amazing opportunities in which to develop their equally amazing potential. Want to see more photos from the Lego Queens' Journey? Visit Girl Scouts of Eastern Oklahoma's Facebook page! To learn more about Girl Scouts' advocacy work around STEM, visit Girl Scouts' Legislative Issues page. Are you interested in helping a girl flex her leadership muscle? Learn how to volunteer through your local council here!